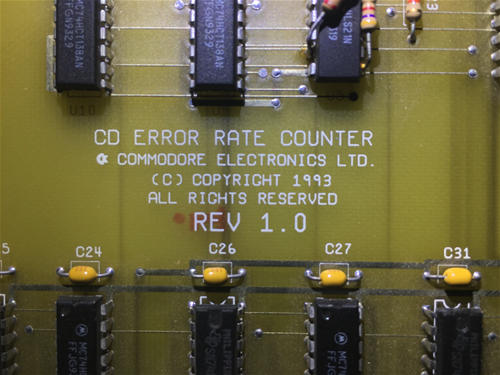 The CD Error Rate Counter board was part of a larger test station at Commodore West Chester. This particular board is specifically for testing the CD32's CD drive, but other parts of the station might also be for other models. 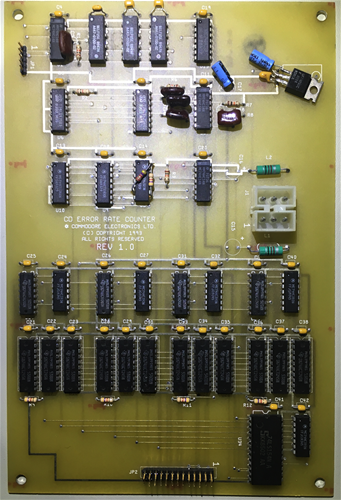 The station comprised of a big box Amiga, a parallel port card that expanded the Amiga to have many parallel ports, and then each of these special purpose cards plugged into one of those extra parallel ports. 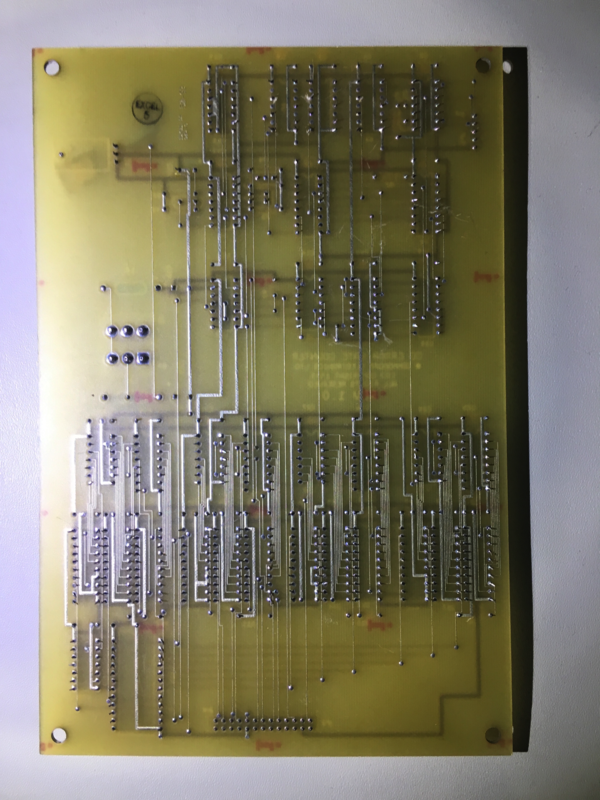 This card connects to a port on the CD drive called the monitor port. It's a 4 bit interface that sends CD error information from a Sony drive controller chip in the CD drive. The physical port is just test points, so I don't know exactly how it connected. The monitor port sends out information about both correctable and uncorrectable CD read errors, and this card interprets that data, and counts up the errors over a duration, so that the test station software could end up with an error rate such as "So many errors per second". Obviously the drive had to be adjusted to meet some standard.